Red Lobster founder Bill Darden opened his first Red Lobster restaurant in Lakeland, in 1968. From the beginning, Bill’s restaurants focused on quality, service and pledge to bring the best of the sea to your plate. 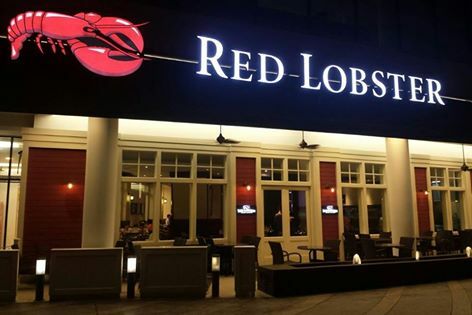 Red Lobster grew across the United States and i other countries including Canada, UAE, KSA, Kuwait, Qatar, Mexico, Brazil, Japan and now finally arriving at Malaysia. Each day we bring some of the world’s best seafood to your table. The journey begins the moment the seafood comes out of the water. To ensuire the ighest quality and freshest seafood, we created industry-leading standards that guide your seafood along every setep of its journey. These include proper temperature control, packing procedures and firm guidelines for dating and managing seafood once its in the restaurant. Address: G-06 & G-07, Ground Floor, Gamuda Walk, No. 12, Persiaran Anggerik Vanilla, Kota Kemuning, Seksyen 31, 40460 Shah Alam, Selangor. YOu would like to make a reservation for 8 person by today 7/2/17 on 1pm. We call 5131 9978 but nobody pick up the phone.